From plotting your daily commute through the Financial District to tracking the results of your run through Haight Ashbury and even triaging your bike when something breaks, there’s an app for that. As cycling is gaining popularity as both a recreational hobby and a necessity of the urban commute in San Francisco, software developers are keeping pace with tons of free and low-priced apps that tap in to the core aesthetic of competitive and recreational cyclers alike. In fact, some of these apps have become so popular that many urban cyclists deem them indispensable. And, many of these apps will help keep you safer so you don’t need to find a San Francisco Bicycle accident lawyer. Below you’ll find 7 of the best apps for cyclists in San Francisco. Strava launched in 2009 and plays directly to the competitiveness of cyclers. Like many available apps, Strava tracks your ride, recording times, distance, speed, etc. so you can archive them yourself and see your own improvement. However, Strava takes things to the next level by segmenting those results and posting them on shareable leaderboards. This lets you compare how your skills stack up with others who ride the same streets as you. And who says your daily commute has to be a lonely affair? Strava has built-in social sharing. You can reach out to fellow cyclists, join clubs, follow friends’ progress, and even take part in challenges. Strava is great for those who like a little challenge and don’t mind turning the morning commute into a bit of a game. The app is free on both Google Play and the Apple App Store but “Premium” membership will get you access to additional features like your “Suffer Score,” filtered leaderboards, real time segments, personal heat maps, and training plans. Map My Ride does a whole lot more than the name would suggest. 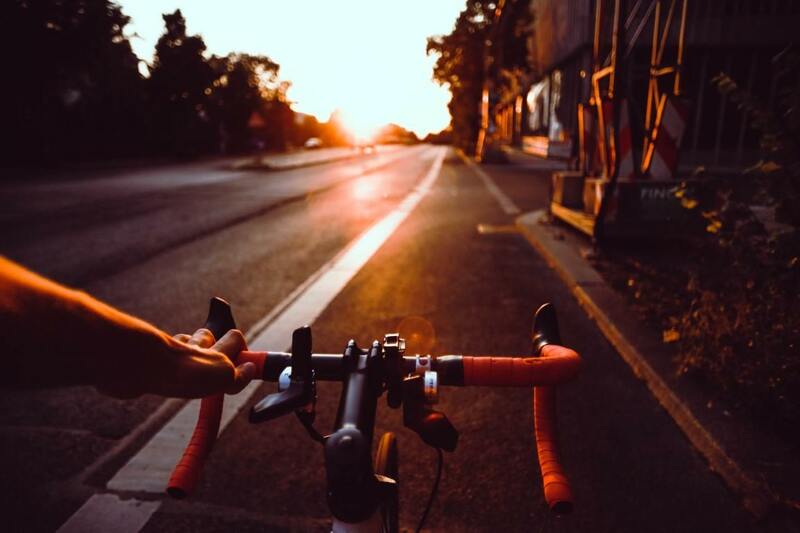 In addition to letting you, well, map your ride, the app also allows you to calculate your caloric burn (including your caloric intake from food), share routes and statistics with friends, find new route down the same old streets, and stay motivated. You may be right to think of it as Strava Light for the less competitive. In short, it’s an excellent app for those bicyclists in San Francisco who not only see cycling as a way to get from A to B but also a necessary component of living a fit lifestyle. It’s also a great way for riders to share safer routes to help them avoid dangerous stretches of road where bicycle accidents in San Francisco are far too common. Map My Ride is free and available on both Apple and Android devices. RiderState bills itself as “the bike app to conquer the world.” That’s a tall order but this little bit of software may just have what it takes. The app, like Strava, is designed to turn riding—even the everyday commute-into a competition. RiderState awards cyclists who “conquer” streets in their city and urges competition through social sharing. Similar to other “check-in” apps like Foursquare, RiderState allows people to “conquer” geographical areas and become the “Governor” of certain streets (until they’re deposed by fellow riders). Unlike any of the apps listed before, the focus isn’t on tracking, fitness, or personal goals, it’s about the game. While RiderState can add a little excitement to your ride, it’s not going to revolutionize the way you hit the streets. However, the added incentive may be what folks who ride for fitness’s sake need to stay motivated. The app is still in Beta but the developers are actively seeking input for later iterations of the software. Say you’re in the middle of your morning commute and the brakes on your road bike give out. You don’t want to risk a bicycle accident in San Francisco’s notorious hilly neighborhoods but you don’t know how to fix them yourself. Bike Doctor does and can show you how. This app makes bike maintenance and common repairs a snap with easy-to-follow instructions, videos, and pictorial guides to help you keep your ride in tip-top shape. This is great—especially for novice riders—because improper care and wear and tear contribute to a number bicycle accidents in San Francisco every year. One of the first steps toward safe riding is taking good care of your equipment. The app has an astounding array of knowledge all crammed into a tiny space and covers a variety of bike models from road bike to mountain bikes and everything in between. Keep in mind, the app was created by a British software developer so some of the English may not be exactly what you’re expecting. Neither is it free, like so many of the other top apps for cyclists. Unlike many other tracking apps, Runtastic’s Mountain bike edition was made for those cyclists who like to leave the city streets behind. This app tracks critical performance stats like duration, distance, and altitude and allows you to share socially with friends and fellow urban explorers. The mapping function is quite neat as it allows offline operation as well—perfect if you hit a dead zone while rolling through the bush. The Premium membership allows users to dive deeper and is excellent for those looking to hone their personal fitness routine. You’ll gain access to advanced statistics, training plans, the ability to set records and challenge other users, and personalized weekly fitness reports. One neat feature is the automatic pause detection. If you have to stop (say for a red light or even a coffee), the app will automatically stop recording until you hit the street again. Remember the good old days when bicycle enthusiasts had to buy standalone computers to track, record, and analyze their rides? The folks behind the Move! Bike Computer app sure do. This advanced GPS tracker, logger and speedometer translate all of the functionality of those old bike computers into a newer, sleeker design you can download right to your smartphone. One of the best things about this app is the sleek user interface. Everything is simply laid out, easy to access, and easy to understand. Plus you can complicate or strip down the display as much as you want with up to ten concurrent gauges visible at one time. Another neat feature is that you can export your rides not only to Google Maps but Google Earth as well for a bigger perspective. The app is free but is only available in the Google Play Store. Every year roughly 600 people are injured in bicycle accidents in San Francisco. Don’t become another statistic. You want to enjoy your ride and end up where you intended to, not the hospital. Remember, riding on city streets can be dangerous—especially if you’re distracted by a smartphone app. Educate yourself on how to ride properly in traffic, learn the rules of the road, and always wear safety equipment—it saves lives. And if you are in an accident, contact a San Francisco bicycle accident attorney as soon as possible.